You've seen my morning view from my Prius, but I want to share with you my morning in my son's house. 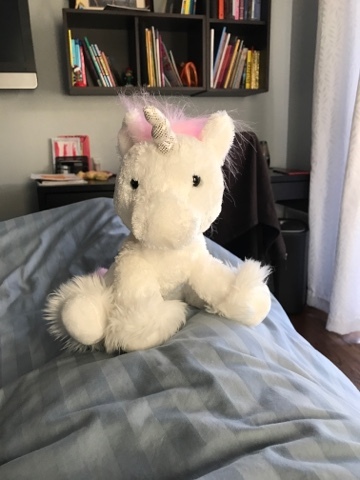 My youngest granddaughter, here on the west coast, brought me her Unicorn and talk to me about it while I'm sitting in bed this am. 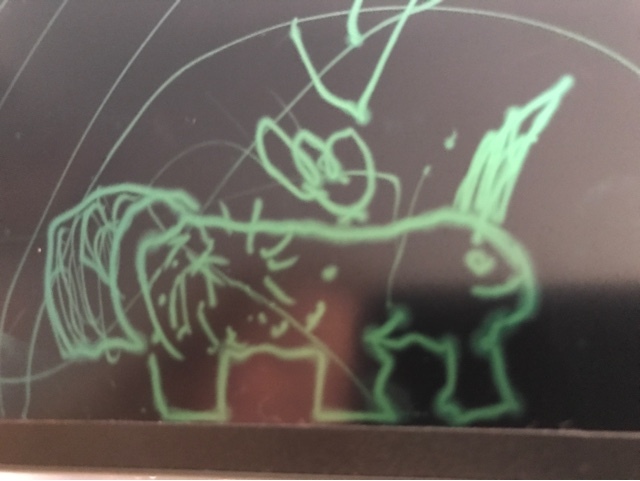 She also has this sketch machine where she drew her picture of the unicorn to show me. We then looked at Pegasus on my phone as she likes those too. The morning doesn't get better than this. 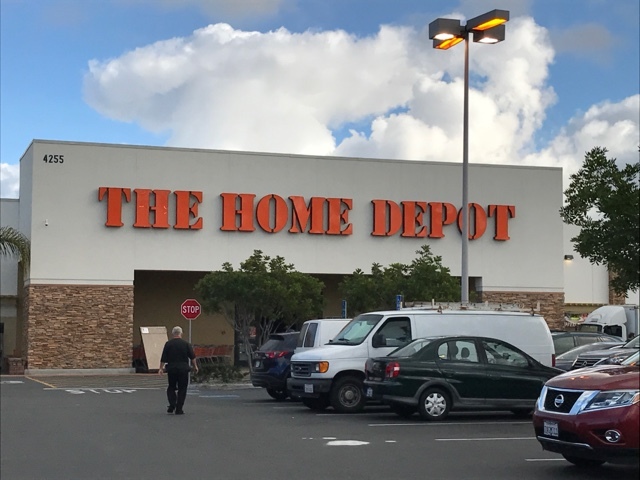 It was 9:00 and my son and I and his older daughter made a trip to Home Depot for electrical supplies for work we are going to do in his house. This was only what we needed that my son didn't already have. Here is a sample of the project we were working on. 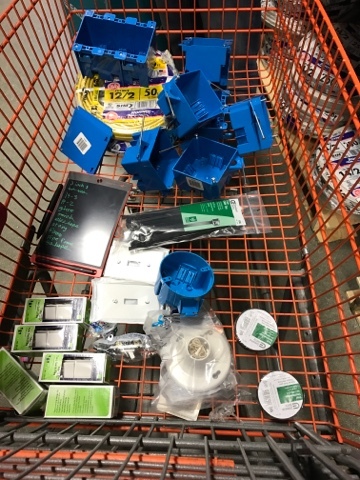 Replacing wires and switches. 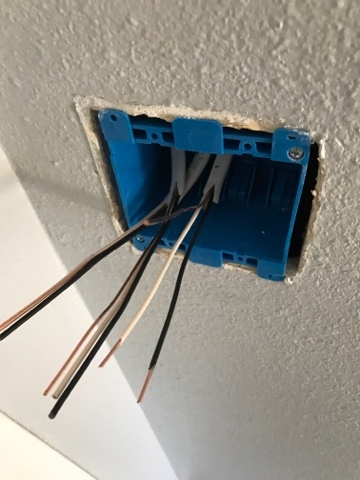 One switch we are replacing is to the outdoor lights to put in a timer switch the size of a single switch. 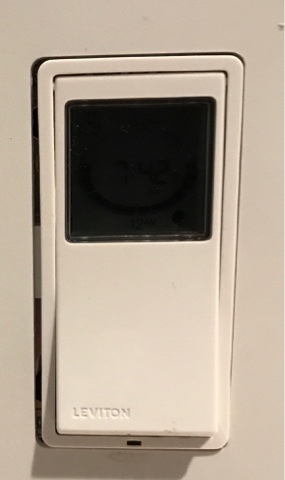 I had never seen a programmable timer this small. 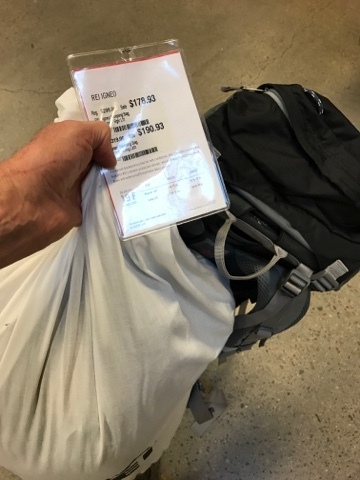 After completing this and a number of other electrical projects on his list, I headed off to the REI store to check out backpacks and sleeping bags for my backcountry hike next month. 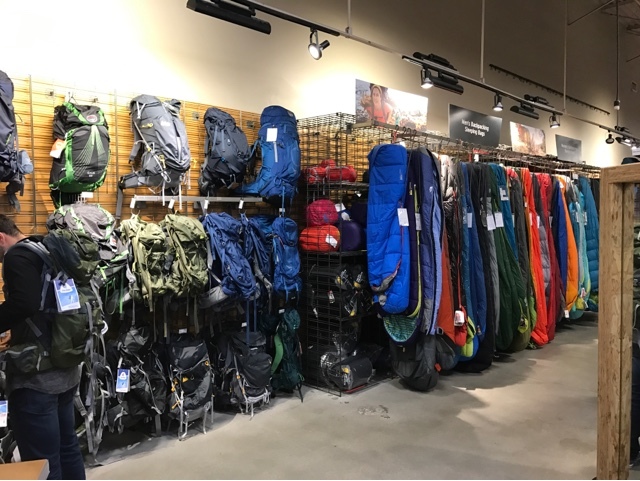 The packs and bags are located next to each other. I had a wonderful woman help me with my selection. I wanted a 50 liter pack without a wire stiff frame to lay flat as possible in my Prius. I did find one I like and moved over to look at sleeping bags. I selected on and the same woman assisted me there. The bag I selected is a 19 deg bag weighing less than 2 pounds. It was $100 off as it was a discontinued model. Combined the pack and bag weighs about 5 lbs total. Now I need some more light weight hiking gear. I'm well on my way of a goal for a total weight of around 20 lbs to hike with.